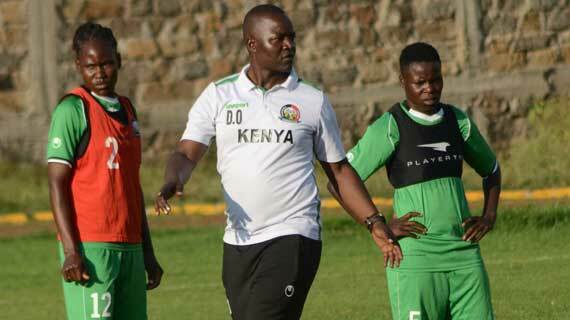 National women football team Harambee Starlets got into the second day of training on Tuesday ahead of next month’s African Women’s Cup of Nations (AWCON) in Ghana. The team reported for residential training on Monday, two weeks to their travel date to Ghana. The only absentee so far from training is Israel based striker Esse Akida while USA based forward Marjolene Nekesa will not be available after her University declined to release her. Head coach David Ouma is took the team through its paces as he looks to fine tune them for their second appearance at the Cup of Nations. “We have started training very well and the first two days have been more or less analyzing the players and knowing where each one of them is physically and in terms of fitness. I am pleased with how they are so far and we will keep raising the tempo as we continue,” the tactician said. Ouma called in a squad of 32 players and is expected to trim it further to the travelling 21 before they leave for Accra on November 14. Before departing, the team is scheduled to play a friendly against neighbors Uganda. Ouma is optimistic despite a short period of preparation, they will be ready for the competition. In 2016 Stars had a two week training camp in Morocco ahead of the Cup of Nations and also played in an invitational tournament in Spain. This time round though, they will not enjoy that prestige moreso because of CAF’s late decision to hand them a ticket to the tournament after the elimination of Equatorial Guinea. Captain Wendy Achieng is confident they will prepare well. ‘Most of us have been active in the women’s league and the fitness sis there. It is just a matter of a little fine tuning and we will be okay. I think we can be ready in the two weeks and we will go and represent the country well,” Achieng said.